Wisconsinites experimented with over-snow vehicles before 1900, trying bicycles on runners with gripping fins, steam-propelled sleighs and later Model T Fords converted with rear tractor treads and skis in front. In the first races held near Three Lakes in 1926, 104 of these "snowbuggies" started. 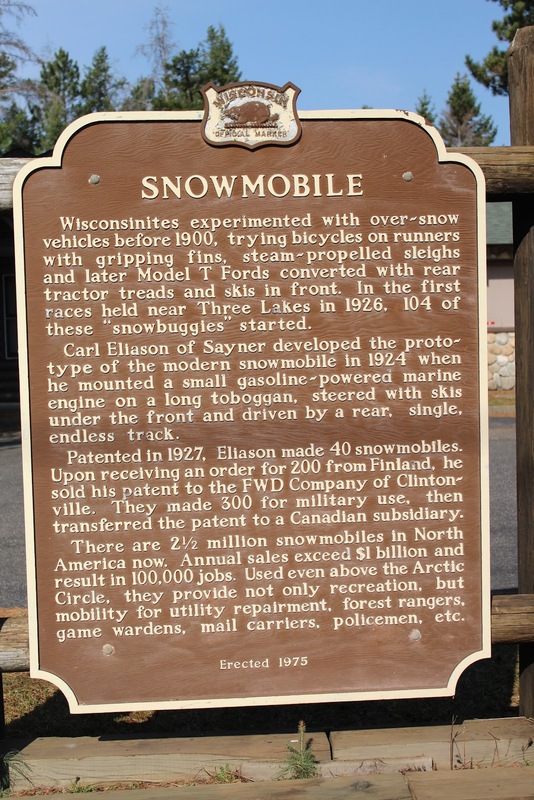 Carl Eliason of Sayner developed the prototype of the modern snowmobile in 1924 when he mounted a small gasoline-powered marine engine on a long toboggan, steered with skis under the front and driven by a rear, single, endless track. Patented in 1927, Eliason made 40 snowmobiles. Upon receiving an order for 200 from Finland, he sold his patent to the FWD Company of Clintonville. They made 300 for military use, then transferred the patent to a Canadian subsidiary. There are 2½ million snowmobiles in North America now. Annual sales exceed $1 billion and result in 100,000 jobs. Used even above the Arctic Circle, they provide not only recreation, but mobility for utility repairment, forest rangers, game wardens, mail carriers, policemen, etc. 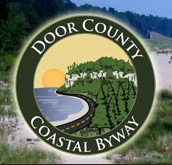 The marker is located on the property of the Vilas County Museum & Historical Society on southbound Main Street / County Highway N / U.S. 155, between Kirtzwell Road and Birch Spring Road, at 217 Main Street, Sayner, Wisconsin 54560. The museum has an extraordinary collection of snowmobiles including the original machine built by Carl Eliason in 1924. Eliason Snowmobiles: In the beginning . 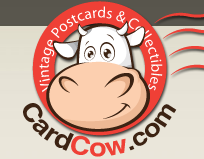 . .
See also, Paul Bunyun and "Babe the Blue Ox", also at this location. Paul Bunyun and Babe the Blue Ox are also at this location. Dexter enjoying a morning stroll . . .
(L-R) The marker, the museum, Paul Bunyun and Babe . . . The marker is located at the Vilas Historical Museum. First visit March 29, 2013 -- the marker was inaccessible.